The Knox Morrow Athletic Conference announced the following all-league award winners and team champions. In addition, the KMAC recognizes one senior in every sport as an All-Academic winner. The All-Academic winner must have a GPA of at least 3.5. First Team: Paden Spencer, Fredericktown; Mason White, Cardington; Thomas Caputo, Fredericktown; Liam Dennis, Mount Gilead; Connor Riley, Fredericktown; Ethan Supplee, Mount Gilead; Casey White, Mount Gilead; Kyle White, Mount Gilead; Michael Snopik, Mount Gilead, Jack Stalnaker, Fredericktown. Second Team: Evan France, Fredericktown; Dalton Lee, Highland; Gavvin Keen, Northmor; Ryan Bentley, Northmor; Nathan Whitney, East Knox; Titus Krabill, Fredericktown; Collin Kipp, Highland; Ethan Dudgeon, Fredericktown; Colton Riel, Fredericktown; Bruce Jordan, Highland. All Academic: Casey White, Mount Gilead. Runner of the Year: Paden Spencer, Fredericktown. Coach of the Year, Bob Geiger, Fredericktown. League Champion: Fredericktown. First Team: Allison Johnson, Mount Gilead; Baylee Hack, Mount Gilead; Dreanna Perry, Centerburg; Avery Tucker, Centerburg; Nichole Groseclose, Fredericktown; Camberly Schade, Highland; Sarah Thatcher, Centerburg; Aeryn Walters, Centerburg; Olivia Millisor, Mount Gilead; Abigail Dickof, Centerburg. Second Team: Georgie Caputo, Fredericktown; Kristie Wright, Northmor; Elise Tucker, Centerburg; Macy Thorne, Fredericktown; Emma Linhares, Fredericktown; Sammy Maglott, Fredericktown; Sadie Sanders, Fredericktown; Olivia Goodson, Northmor; Julianna Ditullio, Northmor; Miranda Baker, Fredericktown. All Academic: Nichole Groseclose, Fredericktown. 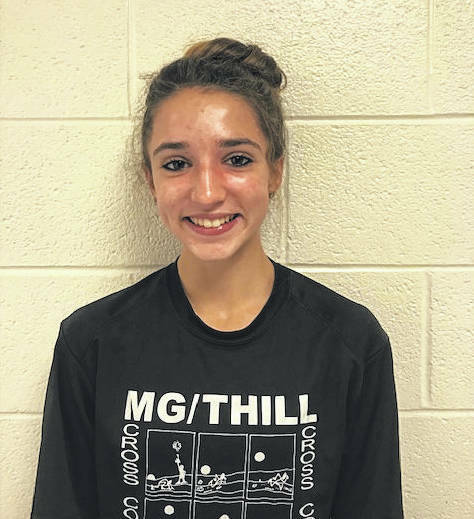 Runner of the Year: Allison Johnson, Mount Gilead. Coach of the Year: Mike Eblin, Centerburg. League Champion: Centerburg. First Team: Drew Salyers, East Knox; Hayes Bentley, Northmor; Mitchell Bell, Mount Gilead; Mallory Graham, Mount Gilead; Ryan Bentley, Northmor; Dalton Hall, Centerburg. Second Team: James Kirk, East Knox; Jacob Spires, Cardington; Logan Doubikin, Cardington; Cayman Spires, Cardington; Ethan Hibner, Centerburg; Owen Mott, Highland. Honorable Mention: Landon Griffith, Centerburg; Levi Houck, Centerburg; Danny Vaught, Cardington; Nathan Friel, East Knox; Gunner Oakley, Highland; Drew Santo, Highland. All Academic: Hayes Bentley, Northmor. Player of the Year: Drew Salyers, East Knox. Coach of the Year: Alan Keesee, East Knox. League Champion: East Knox. 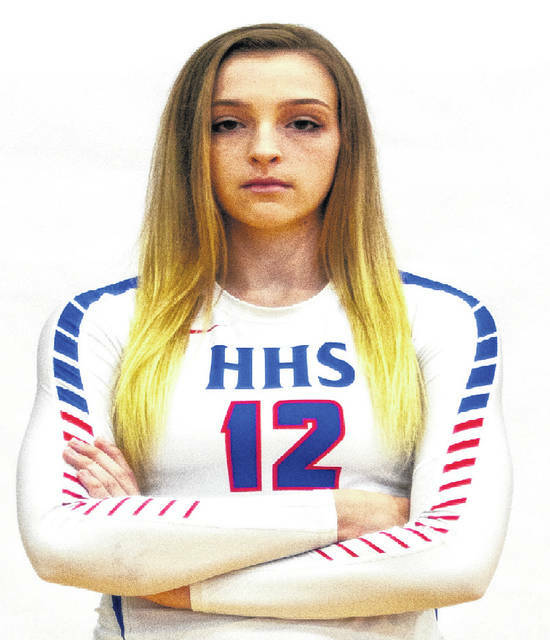 First Team: Kelsey Boeshart, Fredericktown; Leslie Brubaker, Northmor; Paige Clinger, Cardington; Anna Donner, Northmor; Madison Elliott, Danville; Bridget Oder, Highland; Raina Terry, Highland; Ashley VanHoose, East Knox. Second Team: Makenna Belcher, Highland; Lindsey Boeshart, Fredericktown; Aly Blunk, Northmor; Olivia Mast, Fredericktown; Hallie Rine, East Knox; Taylor Scowden, Centerburg; Gena West, Highland; Hannah Wickline, Cardington. Honorable Mention: Kyleigh Bonnette, Cardington; Halle Moreland, Centerburg; Ally Bower, Danville; Meggan Bartok, East Knox; Raven Clagg, Fredericktown; Ashlynn Belcher, Highland; Macy Miracle, Northmor; Jessica Brewer, Mount Gilead. All Academic: Sydney Buckingham, East Knox. Player of the Year: Raina Terry, Highland. Coach of the Year: Shena Beheler, Fredericktown. League Champion: Highland. First Team: Kadden Lester, East Knox; Brock Veley, Highland; Conor Becker, Northmor; Caleb Gallwitz, East Knox; Corbin Hazen, Danville; Hunter Mariotti, Northmor; Brody Matthews, Highland; Kasson Krownapple, East Knox; Chase Carpenter, Highland; Brad Wilson, Danville; Hayden Hankinson, Centerburg; Gabe Dickerson, Centerburg; Brandon Planey, Northmor; Joey Scaffidi, Highland; Dylan Wilson, Danville; Blake Miller, Northmor; D’Marcus Hudson, Northmor; Tate Tobin, Highland; Dawson David, East Knox; Mason Goers, Cardington; Tony Martinez, Northmor; Reese Weissenfluh, Highland; Ian Taylor, Highland; Dawson Moreland, East Knox; Ethan Hawk, Danvile; Cole Dille, Northmor; Brandon Steckel, Cardington. Second Team: Dalton David, Danville; Jack Weaver, Highland; Mason Mollohan, Mount Gilead; Gavin Ramos, Northmor; Isaiah Stoneburner, Highland; Alex Holt, Danville; John Sheasby, Centerburg; Terry Fearn, Fredericktown; Chris Greenawalt, Danville; Tanner Ruhl, Fredericktown; Deven Speck, Cardington; Nick McAvoy, Cardington; Andrew Waddell, Centerburg; Garrett Campos, Centerburg; Trey Kendrick, Centerburg; Garrett Casto, Mount Gilead; Chase Lilly, East Knox; Cam Cutrone, Highland; Ian Toller, East Knox; Owen Bump, Fredericktown; Stephen Schmitt, Centerburg; Weston Melick, East Knox; Trenton Vernon, Danville; Jack Fitzpatrick, Fredericktown; Jarin Vasquez, Highland; Langdon Johnson, Danville; Logan Randolph, Northmor; Jake Partington, Fredericktown; Ellis Grizenko, Centerburg. Honorable Mention: Garison Hankins, Highland; Hunter Brookover, Northmor; Gage Steinmetz, East Knox; Corey Webb, Fredericktown; Resse Dorsey, Danville; Joel Rings, Centerburg; Trey Brininger, Cardington; Tristin Seitz, Mount Gilead. All Academic: Brock Veley, Highland. 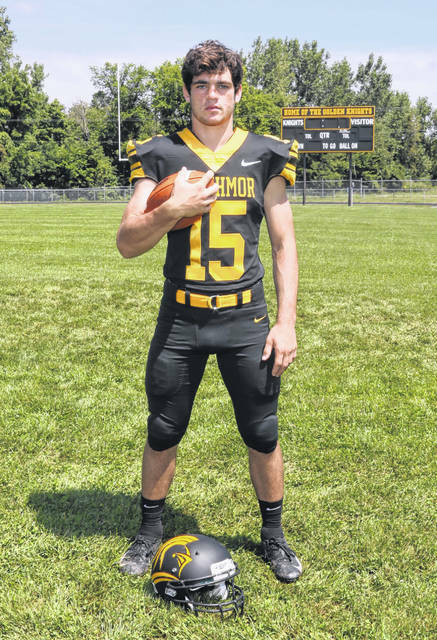 Player of the Year: Conor Becker, Northmor. Coach of the Year: Chad Carpenter, Highland. League Champion: Highland. Boys’ Middle School Cross Country, Highland; Girls’ Middle School Cross Country, Cardington; Middle School Football, Centerburg; Freshman Volleyball Tournament, Highland; Seventh Grade Volleyball Tournament, Highland; Eighth Grade Volleyball Tournament, Cardington. The KMAC is in its second year of competitive competition. Anyone interested in becoming an official for high school or middle school football, volleyball, basketball, wrestling, baseball or softball please email KMACcommissioner@gmail.com or text your name to 614-989-5070. There is a partial reimbursement of the officiating dues available for people interested in becoming an official who live in Knox or Morrow counties. Information received from the KMAC.